Whens that new MGS out? that will get me excited. Nope. Don't need it. Loads left to play on the PS3, I don't have the cash, and I may be getting too old for games. I don't think I will ever be 'too old' for games. It's one of my trifecta of core hobbies the other two being wanking and boozing. Last edited by Le Cut Inside Mane on Thu Nov 14, 2013 2:33 am, edited 1 time in total. It's all my son has asked for so I'm gonna be first down on the 29th to make sure I get it, won't be opened until Crimbo though. Glyn Bender wrote: Problems already? Yep quite a few that are bricking, there is a fix but I think it's a one time fix. Worried mine might as I'll have to send it off to shop-to, thinking about cancelling it and see if I can get one from a store, easier to get a replacement if it breaks then. 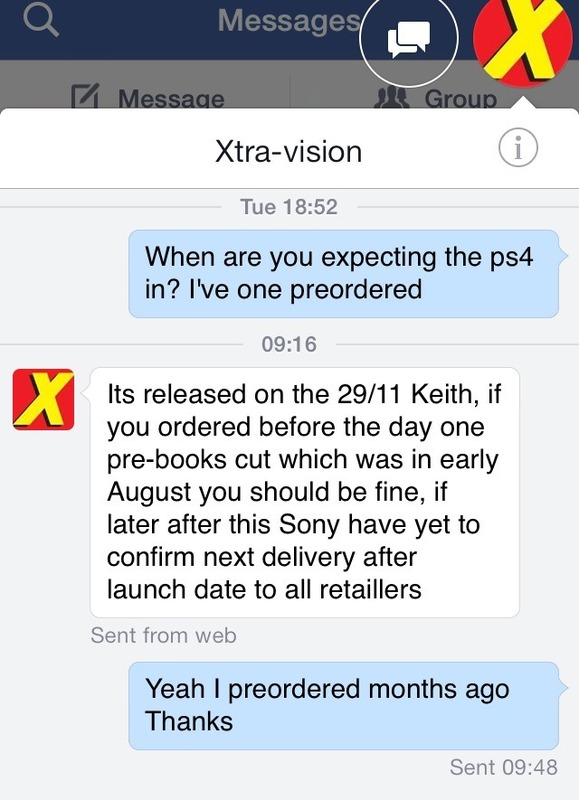 All Game stores have stopped pre-orders as they can't allocate all pre-orders already. There is an ASDA near me that is guaranteeing PS4's if you go in the morning so I might just do that. What are the stand out games coming out on this then, and are they coming out on release? Sony can't be that stupid. I reckon they have loads in wait for Christmas. Just getting a bit of hype up first. No way would they not produce enough this close to a Christmas release. Oh_Dear wrote: What are the stand out games coming out on this then, and are they coming out on release? Plus next gen BF4 is looking amazeballs. Never that fussed about those games. They were alright, but never outstanding. Both will be out next year mind, BF4/FIFA 14 until then. Bethseda made a few websites that pretty much confirm Fallout 4 aswell which will no doubt be amazing, should be getting an announcement on it on December 13th. Last edited by Le Cut Inside Mane on Fri Nov 15, 2013 4:58 am, edited 1 time in total.